Super Massive Beast: How big are the new Chaos Terminators? 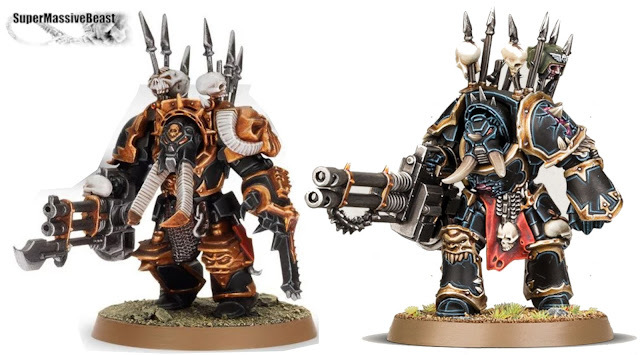 Just a mid-week quicky: GW published a few images of the new Chaos Terminators, and I immediately asked myself, "how big are they?" Are they scale-up in any way? 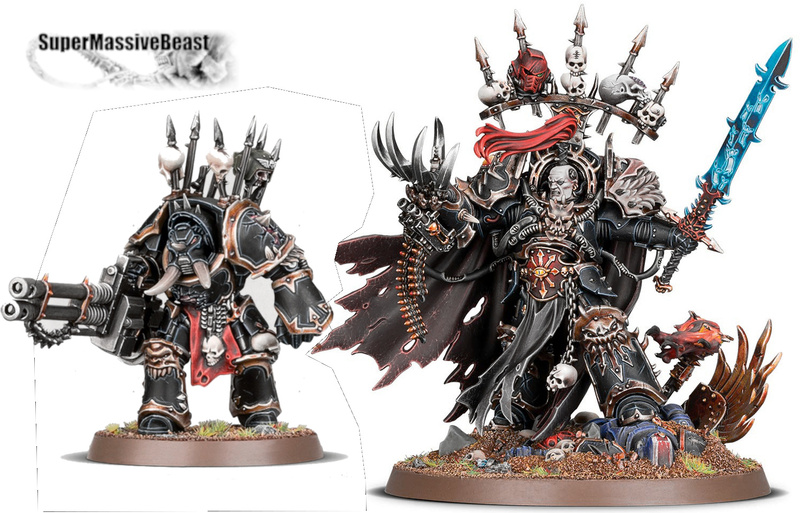 Maybe even Abaddon size? Turns out they are almost the same size! :-( I was hoping for some significant scale-up to bring them closer to "true scale", but looks like this did not happen. This leaves them also much smaller than Abaddon, who was also wearing a terminator armour if I remember correctly?! I moved the Terminator up a bit to match the level of the boots, i.e., taking into account that Abaddon stands on quite some rubble (and a Primaris Lieutneant ;-)). Chaos strikes back!!! --- Shadowspear arrived!